Spring is here and with it comes the simple pleasures that warm weather brings…the fresh air filling your home from an open window, a bouquet of fresh flowers adorning the kitchen table, the sun shining down and reminding us that summer is just around the corner. 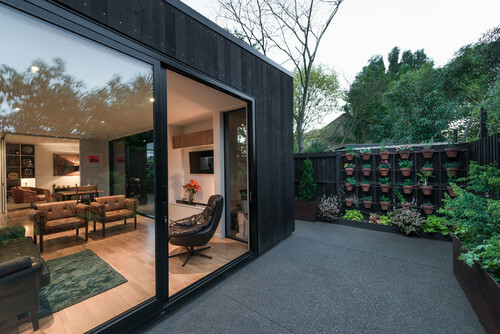 It’s this time of the year that we start spending more time outside – and thinking of new ways we can bring the outside indoors. This week, we’re talking about just that on #KBTribeChat! What are your favorite tips to create outdoor spaces with creature comforts? Always ask yourself, “What do I want out of this space?” Are you wanting to use it for eating, lounging, entertaining, all of the above? Let that drive your design. If a kitchen is what you’re after, consider all of the appliances and components you need so you don’t have to make multiple trips in and out of your home. What is trending now with outdoor kitchens? 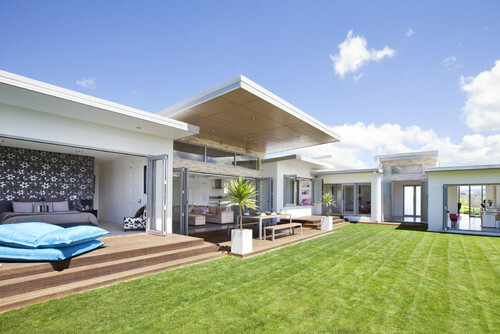 Outdoor living spaces are now being thought of as “functional rooms” and an extension of the home. 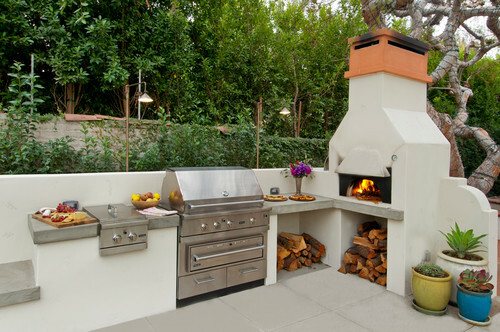 For example, outdoor kitchens can now have all the functions as inside the home. Think outside the box and beyond just the traditional BBQ. If you have the space & budget, consider adding a pizza oven. Who wouldn’t want homemade wood fired pizza on the regular? What are your top tips to bring the outdoors in? Blur the lines! 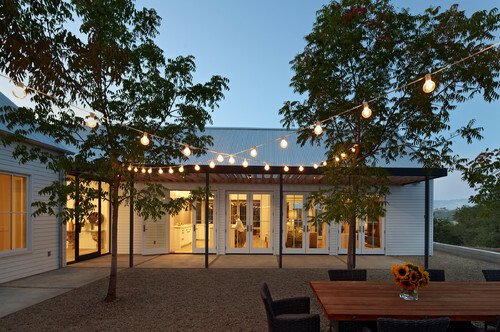 From accordion doors and windows to a continuous color palette, we love a seamless transition from inside to outside. Your exterior living space should be an extension of your interior. Not only does it feel natural, it can really open up a space. What are the most desired features in today’s outdoor spaces? Mainstream sustainability is huge. 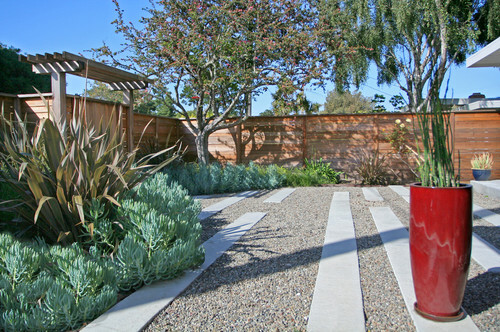 Low-maintenance gardens, drought-tolerant plants, and less grass have become the norm in landscape design. Growing our own food is gaining in popularity. What are your favorite ways to incorporate herbs, fruits and vegetables into yards of all sizes? Container gardens! Don’t let space get in the way of you and your green thumb. Apartment dwellers, you too can enjoy the fruits of your labor (literally). Not to mention, this method means less weeds, too! What are some simple and budget-friendly ways to spruce up your outdoor space? Get your glow on with the right lighting. It can totally change the ambiance of your outdoor space and there’s many options that don’t require major installation. Don’t forget to tune in next week to learn about the trends and changes affecting the design community!